This sweater is for a grand-niece. It was knit using pattern Silver Cardigan by Kristiina Temin. The yarn for the main sweater is Debbie Bliss Cotton DK. The yarn for the trim is Adriafil Knitcol. 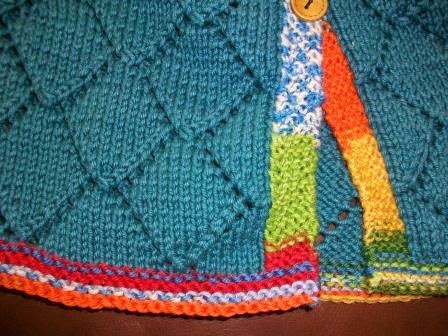 The colors in the sweater are more like those in this next photo than the others. 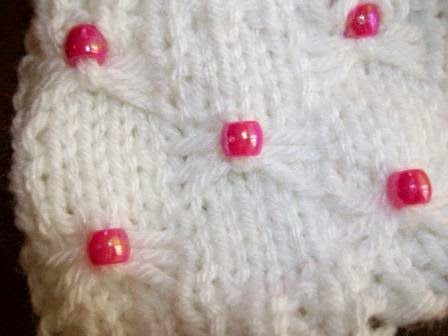 I chose simple buttons, feeling they worked better than the others I looked at. 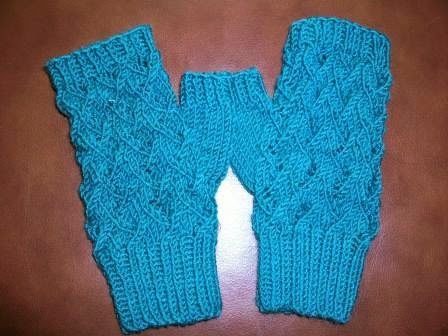 These fingerless mitts are going to one of my sisters. 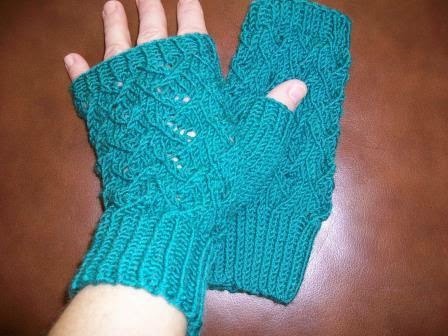 The pattern is Cafe au Lait Mitts by Paula McKeever. I’m not sure what the yarn is. It’s some leftover in my stash. 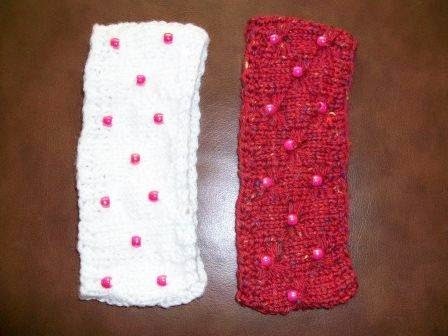 These headbands are for a niece. She doesn't like hats much but maybe these will keep her ears warm while she looks like the princess she is. 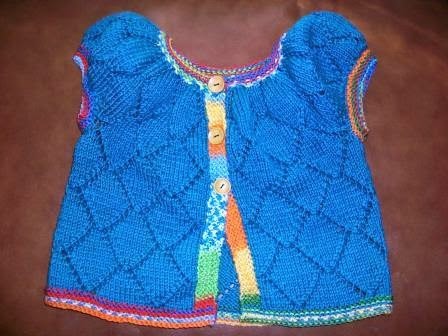 The pattern is Beads and Bows by Christine Marie Chen. 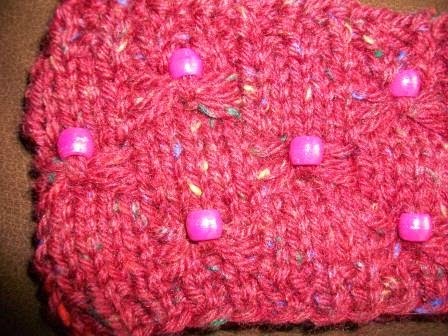 My friend/colleague asked me to knit her a slouch hat. 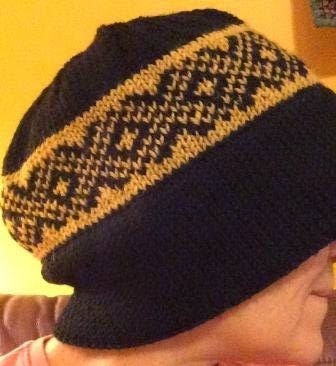 I showed her several patterns on Ravelry and we chose Spinster Slouch by Valérie Miller. 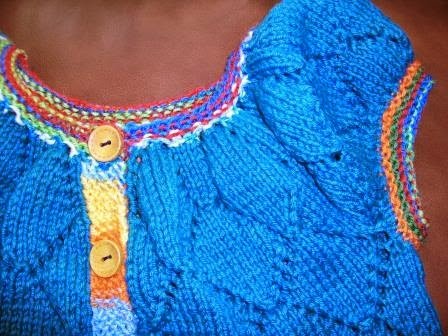 The yarn is Trendsetter Yarns Tonalita. She loves it. I literally knit this hat twice. 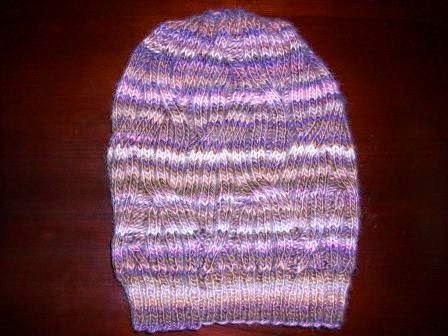 The first time it turned out huge, so I "frogged" (unraveled) it and reknit it with fewer cast on stitches so it would be a more normal head size. As you can see from this first photo, the hat overlying the first attempt shows how much larger it was than a more normal size hat. 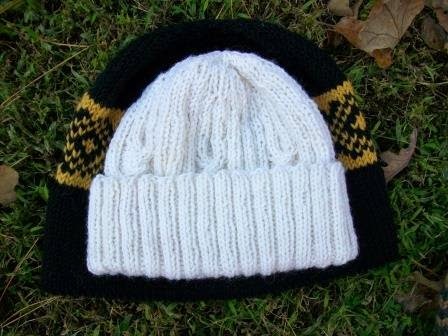 The pattern used is David's Hat by Kenny Chua. 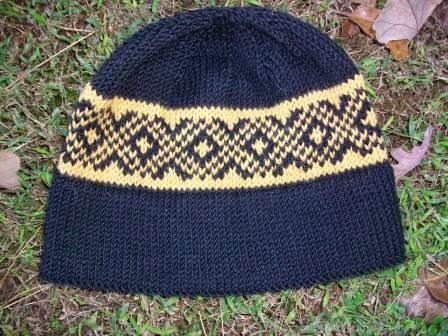 The yarn is Berroco Ultra Alpaca Fine in two colors (black, gold). 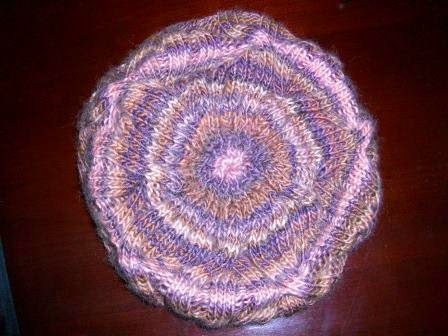 The pattern called for casting on 110 stitches which resulted in a very large hat. I reknit it casting on only 90 stitched for a much better size. This next photo is of me modeling the first knit (large size). 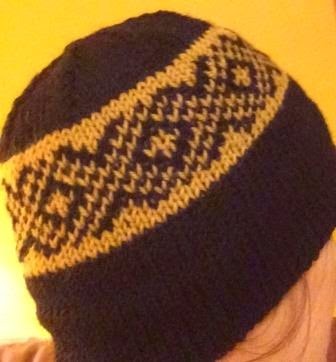 This last photo is of me modeling the reknit (more normal size).